During World War I, the Kingdom of Romania was on the side of the victorious Entente. 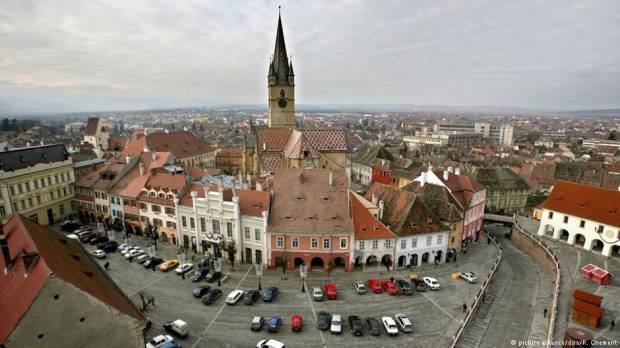 Transylvania, which had been held by the Austro-Hungarian Empire but was home to a majority of ethnic Romanians, was ceded to the kingdom during the postwar negotiations. Parts of the Banat and other regions of the Austro-Hungarian Empire were incorporated into Romania, too. On Saturday, Romanians celebrated the Great Union Day and the centenary of the foundation of their modern state. The German Press Agency (DPA) reported that Romania had staged several military parades to commemorate the 100th anniversary of the union with the formerly Hungarian province of Transylvania. The DPA article, however, used the word "anschluss" todescribed the union, a term that can be applied in many different contexts: It is also used to describe Nazi Germany's annexation of Austria in 1938, for example. The DPA report made repeated use of the term in the context of the historical union of Transylvania and Romania. German media outlets, including the public broadcaster ZDF, then based their reporting on the article — which in turn led Romania's ambassador in Berlin to pen a letter to the DPA accusing the press agency of having committed a grave semantic mistake and demanding that it correct the error. Romania's Foreign Ministry, too, demanded that the "tendentious" DPA report be immediately corrected. Nationalist media outlets within the country even went reported a severe diplomatic crisis between Bucharest and Berlin. They also called on Romanian President Klaus Iohannis, who is ethnically German, to stop being "subservient" to Chancellor Angela Merkel and hold her accountable. In a post on Facebook, Germany's embassy in Bucharest distanced itself from the DPA's use of the term, claiming that government officials do not share the view of reports that contradict or portray a distorted picture of Romania's union with several regions, including Transylvania. The statement noted that DPA and ZDF had been asked to amend their reports accordingly. ZDF did so on Tuesday, replacing "anschluss" with "beitritt," which translates as accession. This term, however, is inaccurate for the historical and legal events that unfolded in 1918. DPA, too, amended its language, opting to replace "anschluss" with "zugehörigkeit," which roughly translates as membership. But this terms is a misnomer as well: Transylvania has not been a "member" of Romania for a hundred years. So, more criticism is bound to ensue. Protochronism, an ideological view of history cultivated under the dictator Nicolae Ceausescu, considered Transylvania a historical element of Romania. Officials who subscribe to protochronism refer to Transylvania's joining of Romania after World War Ias an act of "reunification." The relationship between Romania and Hungary, meanwhile, remains tense, as acknowledged by the DPA report. The nationalist government in Budapest, for instance, barred its diplomats from attending Romania's Great Union Day over the weekend. Leading representatives of the Hungarian minorities within Romania heeded that order, as well. 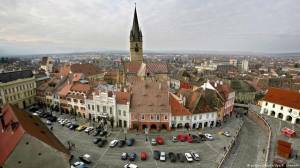 Many in the region now fear that the Hungarian minority in Transylvania wants the region to split off from Romania and rejoin Hungary. People who say "anschluss" implies a forceful annexation in the context of Romania's union with Transylvania are being disingenuous. After all, a Romanian government decree from 1918 itself uses the term "alipire"—which translates to "annexation" in English and, yes, "anschluss," in German — to announce Transylvania's union with the kingdom. Indeed, "alipire" appears in numerous documents and reports from that time. Granted, the DPA report should have included a reference to the "political union" of Transylvania and Romania, rather than only speaking of an "anschluss," which has evidently been misconstrued. But to attack the free press because someone chooses to misinterpret a certain term is out of order. We should not tolerate exaggerated political reactions to media reports.